Affleck does a masterful job as "the most hated man in America," and we all owe a great debt of gratitude to the powers that be that made a last second edit to the movie so we don't have to see Ben's "little Affleck." Rumor has it, he went full frontal for this film, so we may end up having to deal with that little bit of action in the DVD. Plot: A retired cop turned illegal P.I. is tasked with finding out who is killing all of the wives and girlfriends of New York's drug dealers. 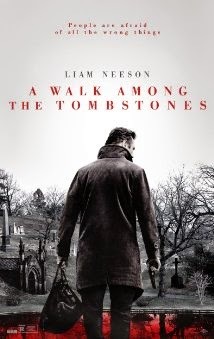 This is the kind of film that shows off Liam Neeson's talent in the best way. I would describe this movie as a cross between SILENCE OF THE LAMBS and THE UNTOUCHABLES. It's not as good as either of those classic films, but it is good enough to hold its own. It is highly suspenseful and thrilling, and while it is somewhat lacking in mystery it makes up for it with a compelling story and great character depth. The story is set in 1999 so most moviegoers will enjoy the references to Y2K and old cell phones. 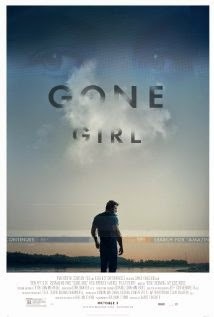 If you like police procedural thrillers check out this movie this week. Plot: A biting commentary on how our lives have changed because of technology. This movie is sick, twisted, demented, disgusting, perverted and very close to real life. If you are the parent of a teen or tween you need to see this movie. 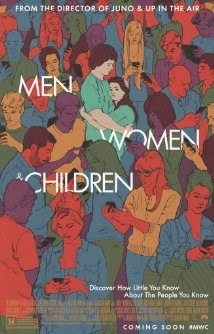 It's a horrible, horrible movie to sit through, but the subject matter is spot on with what teens are doing now and how they deal with situations. Just know that the money you spend on it is not for entertainment, but to help you better understand and connect with your kids. This is the kind of movie that I wish John Hughes was still around and could have directed. It has the potential to be an incredible film, but it falls flat. Rarely do you see people walk out of a theater because a movie is so bad. I saw about half a dozen people leave during the screening for this film. Two of which were a mom and her tween son. She couldn't get him out of there fast enough with all of the nastiness up on the screen.